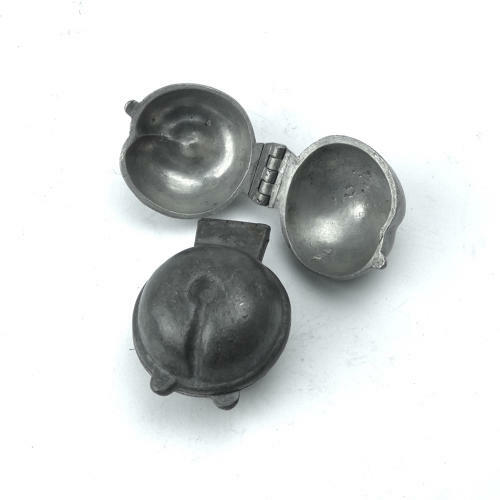 Two small pewter ice cream moulds in the shape of plums. These moulds have no manufacturers marks and they date from c.1880. They are is simple in form but the shape is naturalistic. They are both in very good condition. The interiors are in good, bright, usable condition and the exteriors have a dark patina.